Triumph GE is a fully integrated molecular imaging system PET/SPEC/CT for biomedical research and pharmaceutical development. Equipment providing high quality images and data for optimal resolution, contrast, noise-to-image quality and accurate 3D rendering with minimal x-ray dose. 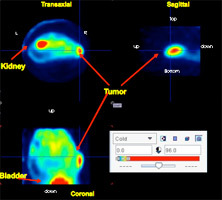 YAP-(S)PET Scanner provides a simple tool for Multimode Functional Imaging on Small Animals . The Scanner can be easily configured to perform studies either in PET or SPECT mode. The 4-head version of the scanner may work simultaneously in PET and SPECT mode. 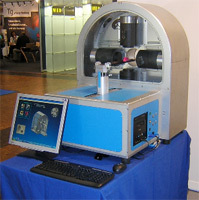 The in-house availability of a cyclotron for industrial production of clinical and research tracers provides both PET/SPECT agents and custom labeling of candidate molecules for pre-clinical studies. The activities include the set up of the service/instrumentation/animal models for PET and SPECT. Activities on PET/SPECT/CT Scanners allowing for functional imaging experiments in mice and rats. Labelling of antibodies, proteins and chemicals both for PET and SPECT. 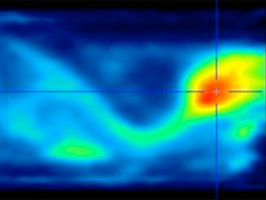 Imaging of receptor-targeted PET agents (new molecular imaging assays). Biodistribution and pharmacokinetics of labelled compounds (e.g.pharmacological agents in drug development). Identification/synthesis of PET/SPECT tracers for preclinical and clinical imaging (99-Tc, 18-F or 68-Ga). Human injectable solutions of Gluscan® (FluoroDeoxyGlucose or FDG), research PET tracers labeled (18-F or 68-Ga), and therapeutic radiopharmaceuticals labeled with Y-90 and Lu-177 are provided through the internal expertise and facility. PET Molecular Imaging (custom labeling) applied to drug discovery (for both pre-clinical and clinical research, new radiotracers for use in diagnostic imaging). Oncology -> Imaging on Transgenic and Xenografts models (tumor metabolism, proliferation and growth, apoptosis , angiogenesis, drug efficacy evaluation). Cardiovascular pathology -> Imaging on Transgenic and induced pathological models (plaque imaging). Cerebral pathology -> Imaging on induced pathological models (stroke, glioma , degenerative pathologies). Inflammation -> Imaging on induced pathological models (arthritis, macrophage detection). Validation of new biomarkers of pharmacological activity as predictors of drug response in the clinical setting (novel drug delivery and gene therapy approaches).